te-70 Archives - Fret nut... Have Guitar! So, here’s a crazy Have Guitar! video for you: a 160 dollar guitar with a set of 200 dollar Fender singlecoil pickups. Yes, it’s a Harley Benton TE-70 Black Paisley Telecaster model, Thomanns own house brand, on which I have switched the original pickups (Wilkinson) to Fender Texas Specials. In this video I’ll show you how I did it and of course you will get a side by side sound comparision of the pickups, using Kemper profiles ranging from clean to full high gain. So was it worth it? Bah, you gotta watch the video to find out, but have a look at the index below if you just wanna skip to the sound examples! But I can tell you that these Fender Texas Specials have a really nice character… Might add that I have changed the strings from Daddario EXL110 to Elixir .010 as I changed the pickups. Hope you like the video, feel free to ask any questions in the comments and don’t forget to subscribe! 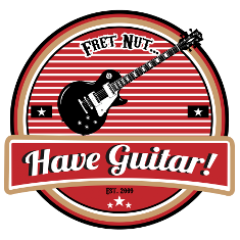 And don’t forget – Fret Nut… Have Guitar! My original review of the Harley Benton TE-70 Black Paisley. This tele-model from Harley Benton comes in the style of Brad Paisley’s Fender Telecaster, hardware and pickups from Wilkinson and strings from Daddario (EXL). In the video I’ll give my impressions of it and of course you will get sound examples as well, from clean to raw distortion.